D5 CORPORATE is a theme for Business. 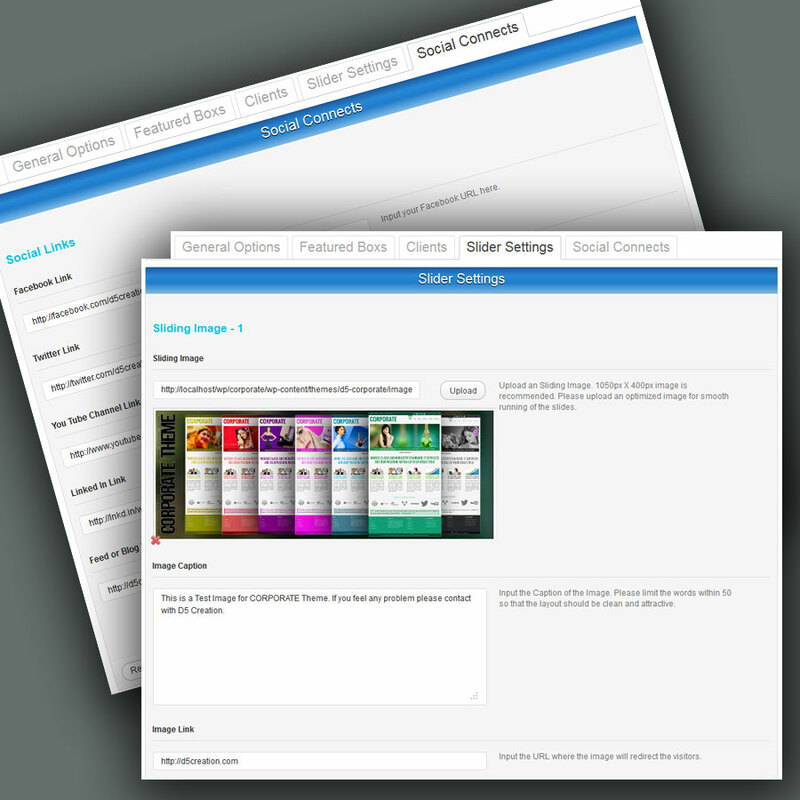 Customizable Background and other options will give the WordPress Driven Site an attractive look. D5 CORPORATE is super elegant and Professional Theme which will create the business widely expressed. Right and Footer Sidebar will be usable for showing the widgets and PlunIns items. Full Wide page can be used for showing showcase or other pages. D5 CORPORATE has come with 7 different Color Schemes. D5 Creation's Support will be with you, Always!